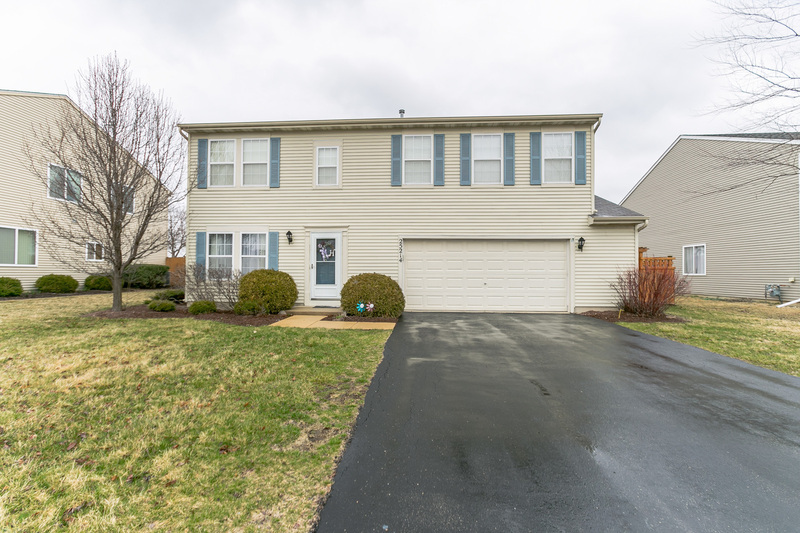 Gorgeously updated 4 Bedroom + loft home in North Plainfield, Liberty Grove. Look No Further, Lower Taxes! Priced to sell!! Sought after Community w/pool,water slides playgrounds and parks! Home has been tastefully painted, beautifully designed & decorated throughout,new carpeting (2017), updated kitchen w/ Double wide pantry & SS Appliance Package. Entire First floor finished w/beautiful modern long plank porcelain floors. This amazing 2 story home features an accommodating paver patio & large professionally landscaped fenced in backyard is ready for fun! Additionally has newer shed (2017). The 2nd story features laundry room, 4 bedrooms all w/ceiling fans, 2 Full Baths & loft area. Retreat to Your Master Suite boasts 3 Walk-In/reach in Closets & a Spacious Private Bathroom. District 202, PLAINFIELD NORTH High! For your convenience the Elementary school is located in the SUBDIVISION! Amazing Opportunity! This Beauty is well maintained, nicely updated & everything has been done for U!